In celebration of the arrival of Elsa, Anna and Kristoff Disney PhotoPass and ABC’s “Once Upon a Time” have teamed up to provide you with an exclusive “Once Upon a Time” Magic Shot at Disney’s Hollywood Studios. A Disney PhotoPass Photographer will take your photo in front of a “Once Upon a Time” background, then when you visit MyDisneyPhotoPass.com and claim your photo you’ll find a magical surprise – Elsa and The Evil Queen have joined you! To make this celebration extra special, your “Once Upon a Time” Magic Shot is complimentary for a limited time! 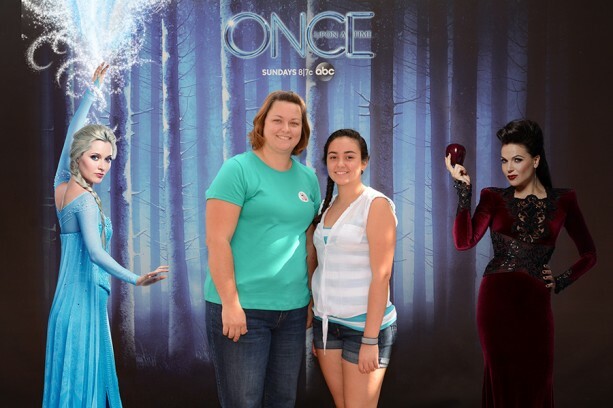 Just have your photo taken at the location at Disney’s Hollywood Studios, claim your photo at MyDisneyPhotoPass.com and download your “Once Upon a Time” Magic Shot for no charge. Catch up with The Evil Queen, Elsa, Anna and Kristoff on “Once Upon a Time”, SUNDAYS 8|7c on ABC.